Insurance Ideas: Is Bundling Really Smarter in the Long Run? Insurance is one of those necessities everyone requires in some form or another. Depending on your situation, you may need homeowner’s insurance, car insurance, or even life insurance. The problem with insurance being a necessity revolves around the cost. It can get expensive quickly, especially when you’re insuring for multiple things which gives rise to the topic of bundling insurance policies. While bundling can save you money, it’s not always worth it. Let’s explore how you can decide if bundling insurance is a good idea. Having multiple assets insured by one company is something that larger insurance companies have admitted to preferring. This allows them to minimize the process of paying for insurance claims. If you want your insurance company to give you the best in service, then bundling may be a bright idea. Better service could mean the difference between having a policy that works with or against you. The biggest draw of bundling insurance policies revolves around the idea that you can save money. These discounts are designed to be attractive, which means they can save some money in both the short and long term. The thing to watch out for is how much money you can save. Discounts may not always be enough to make a policy cheaper than what a competitor could offer. Before you agree to any bundles, ensure you understand in plain numbers what discounts you would be receiving. Reputable insurance companies will generally give you this information when you ask for it. While the best situation is one where you don’t have to initiate a claim, these will eventually happen. You need to ensure the company that handles your policy can do so in a way that works with your insured property. 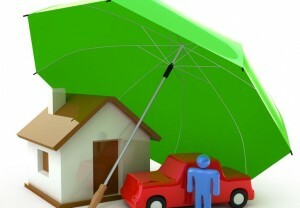 Some companies may specialize in home insurance while offering bundle discounts on car insurance and life insurance. They may, however, require extra steps or have reduced liability if they lack the infrastructure required to handle your claim. Ensure your insurance company can adequately handle insuring all your property before you bundle your plans. It is worth remembering that even the best insurance policies may be difficult when it comes time to file a claim. You may still require the help of one of the best disability firms in Michigan to make your insurance company pay for the term you purchased. When it comes to bundling your insurance policies, don’t put each of your assets in the same basket. Try insuring your car for a trial period before you insure the other assets you have, to take advantage of a bundle discount. This can save money by letting you know if the insurance company can handle your needs. While a car may be different than insuring a home, it can give you a hint as to how reliable an insurance agency is. This can help you determine if the savings from a bundle are worth insuring your properties with a given company. While it can be a tedious process to create the perfect insurance policy that utilizes bundles, it is often worth it when every variable aligns in your favor. By following the advice stated above, you should be able to determine if that bundle discount you might receive is worth insuring your assets with the same company. This can reduce headaches, save you money, and, above all else, keep your property insured against disaster. Insurance 101: What’s the Right Decision for My Family? I think bundling is a great strategy for insurance companies which come with 5-10% discounts. There are both pros and cons as you described. I think those who are very busy in life usually go with bundling because they don’t have enough time to analyze every plans offering by different insurance providers. When you bundle, you become a loyal customer for your insurance provider as well which eventually helps you to expedite the process when it comes to filing a claim etc.